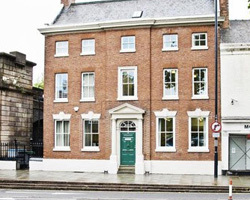 I work from a lovely, comfortable, safe and relaxing consulting room, located at 32 Friar Gate in the heart of Derby's professional quarter. It is conveniently located and easily accessible by car or bus. Friar Gate RCP carpark (DE1 1EZ) is located right across the road from 32 Friar Gate. To contact me, please use either the following mobile number or email, both of which are confidential and are used only by me in my private practice. I aim to respond to all enquiries promptly. If you reach my voice mail please leave a message with your name and number and I will return your call.